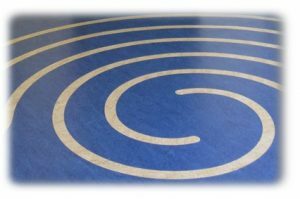 Our beautifully inlaid 19-foot walking labyrinth holds space for our community’s practices in contemplative arts. Diverse and creative forms of contemplation invite greater moral awareness, insight, wisdom and compassion, through a deepening celebration of humanity and healing. New teachers and new classes are always welcome. Sign up for our newsletter to hear about our upcoming events. Julie is director of The Exhale Project, a grant-funded project in its third year, which coordinates and teaches free yoga classes in several Iowa counties for victims of sexual assault, domestic violence, human trafficking and non-offending family members. Virtue Medicine is very pleased to provide support for this important work in our space, sharing a commitment to the use of yoga in the treatment of trauma and educating mental health and crisis agencies about the advantages of using body-centered therapies for healing work. Julie has master’s degrees in Nonprofit Administration from the University of Notre Dame and Counseling Psychology from the California School of Professional Psychology with certifications in Focusing Therapy for Complex Trauma, and in Latino Family Therapy. She is a registered yoga teacher with Yoga Alliance and is deepening her studies in Yoga Therapy through the Inner Peace Yoga Therapy program in Chicago, IL. In addition to her work with yoga she works part time as a Mobile Crisis Counselor. She has worked with adults, children and teenagers from diverse backgrounds in both the US and Mexico, treating a wide range of issues but focusing heavily on trauma and transition. To register for a class, or for more information, email Julie at juliej@stopdvsa.org, or call/text (319) 560-5264. This Mind Body Spirit Group offers a powerful, effective combination of research-based healing modalities to help participants deal with life change, stress or illness in an intimate and supportive setting. Group members will learn self-care skills necessary to transform the physical, mental, emotional, social and spiritual dimensions of their lives. Each week, we will explore a mind-body-spirit modality that can be immediately integrated into daily life. Groups are comprised of adults of all ages and backgrounds. The small group setting of 8 to 10 people allows for sharing, connection and support. The group will experience the research-based healing modalities taught through the Center for Mind-Body Medicine. The series is educational, supportive, participatory, structured and fun. Join Dr. Bellinger for her FREE lecture series on Functional Medicine. Join her newsletter for the latest information on lecture dates. 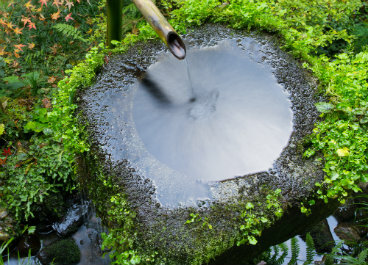 Are you an experienced teacher of contemplative practices? We would love to hear from you, if you have interest in using our studio space and being part of our community.